Huge congratulations to William Davies of Penywern, Llangain who was selected Captain of the Wales Squad Under 19 in the annual Home Nations Championship in Belfast recently. Well done Wales for coming Second in the tournament. 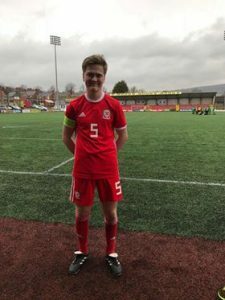 William is a former pupil of Llangain Primary School and is presently, studying A Levels at Bro Myrddin Welsh Comprehensive School. He is the son of Ieuan and Gwyneth Davies and a grandson to Ellis and Enor Davies, Pantyrynn. Best wishes and good luck for the future.